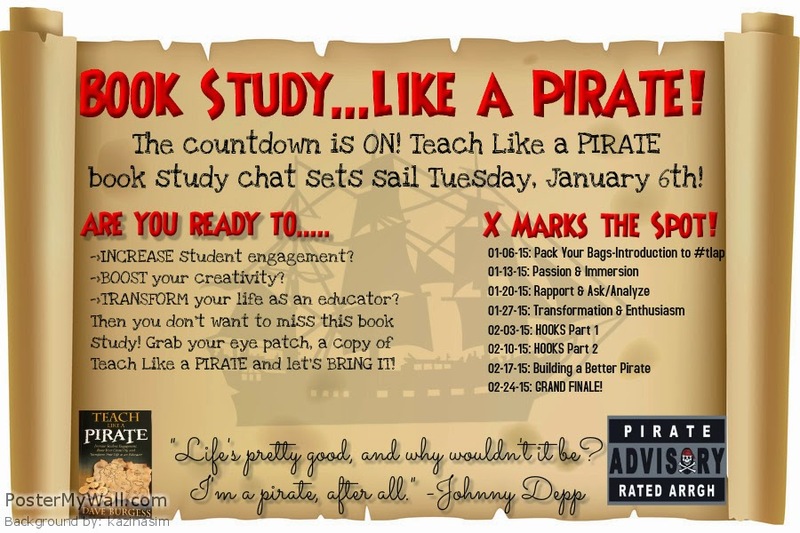 The Teach Like a Pirate book study chat is about to set sail! To help everyone get ready to chat, here are some helpful organizational tips. I personally use Tweetdeck to organize my Twitter account. What is Tweetdeck? It is a social media dashboard application for management of Twitter accounts. Tweetdeck interfaces with your Twitter account to allow you to send and receive tweets and view profiles. My favorite thing about Tweetdeck is that it organizes my Twitter account to help make it easy to see Tweets from specific people and follow specific hashtags. For the hands on learners that would rather read step-by-step directions, here is a short overview of getting started. You can manage each column by clicking on the two horizontal lines on the right side of the column. This allows you to customize the column and move it as needed (with the < > icons). You can also delete the column. To compose a tweet, simply click on the "New Tweet" icon on the left side of the screen. Type your tweet and you are ready to go! Don't forget to add the hashtag if you are chatting. To actually participate in the chat, just login to Tweetdeck and follow the column you created. I always put my notification column next to the chat I'm following in case someone responds to something I say. This is just one more time-saving tool for busy educators.